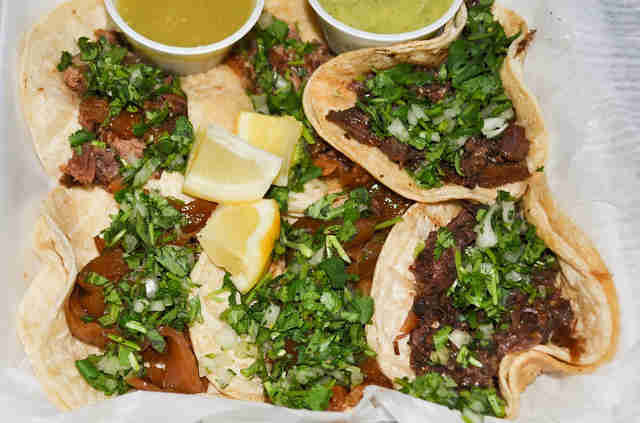 Do you have any idea how many fantastic dishes in Denver cost less than 10 bucks? Seriously, do you? Because we definitely do not -- but we know it's a lot. So we ruled out the all-too-obvious (hot dogs, burgers, pizza, street food, desserts, anything here or here) and narrowed the list down to these 16 true obsessions. 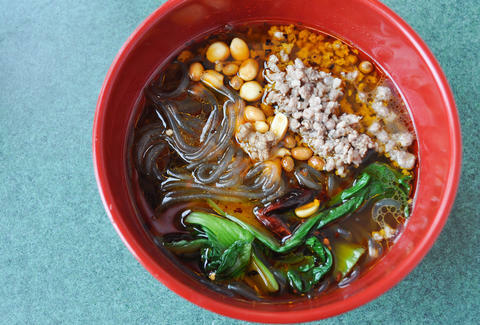 It’s listed on the blackboard of this newcomer’s order counter as “sour-and-spicy sweet-potato threads,” which is a pretty threadbare description of what it actually is: a hearty, head-clearing noodle soup that’s loaded with ground pork, dried chiles, bok choy, peanuts, and ginkgo nuts. Yet it’s so addictive that the real price is probably about $800... provided you count all the bowls you’ll be having in the future. Sure, we said no pizza. 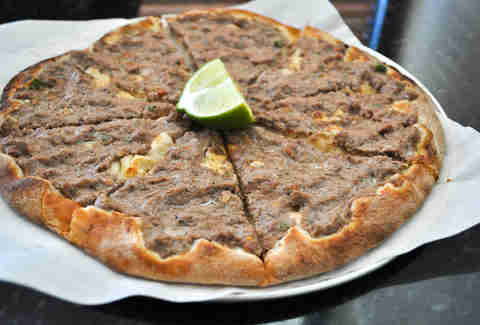 But we didn’t say anything about manaeesh, pizza’s eastern Mediterranean cousin. This Lebanese counter joint covers its pies with everything from a rich, pine nut-sprinkled spread of fine-ground lamb and beef, to cream cheese-like lebni dusted with za’atar (a spice blend centered around thyme and sesame seeds). Then it puts a cherry on top by charging for a whole "pie" what most places would for a slice. 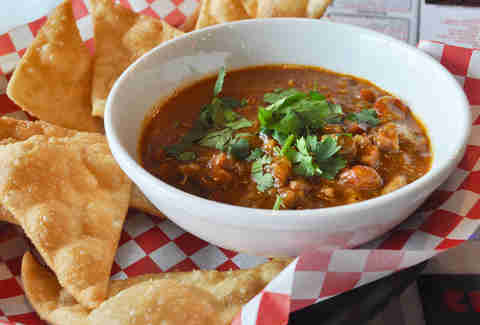 Here’s what you get when you cross Vietnamese and Louisianan cuisine: a bowl of robust crawfish & sausage stew served with light, crispy wonton chips in what just might be the best culinary mash-up since Korean tacos. 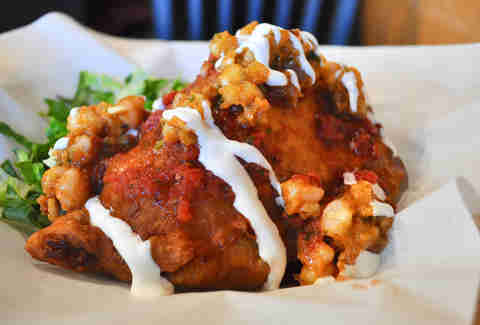 By the way, big spender, you’re also getting the wings. 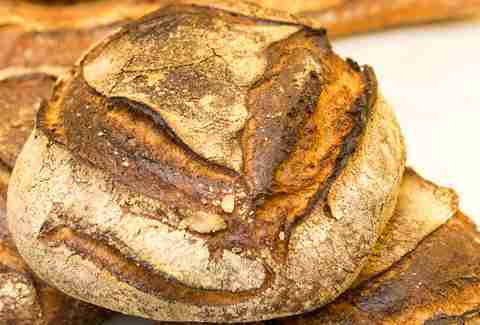 If bread doesn’t sound like a meal at all, you haven’t been to this real-deal boulangerie in The Source. Be it a classic baguette, the staple pain naturel, or some healthy-nut situation made with millet or flaxseeds or purple sprouted barley, these are the crustiest, chewiest, densest, and most delicious loaves around. Pretty much all it needs to become your new favorite breakfast is a smear of high-quality butter, and a sprinkle of sea salt. 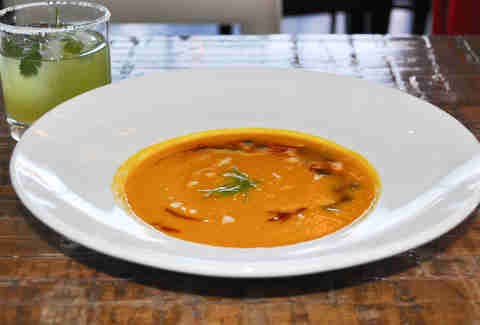 Central Bistro's penchant for turning out crave-worthy soups started with former exec chef Matt Selby's passion for this often underrated category of food. Though Selby has moved on, his former sous chef Jesse Vega is now heading up the kitchen and continuing to turn out soups that deserve to be the star of your next meal. Forget chicken noodle, and think Moroccan garbanzo with pea shoots and crispy chickpeas, or tomato and cucumber gazpacho spiced with serrano peppers and topped with crunchy marcona almonds. 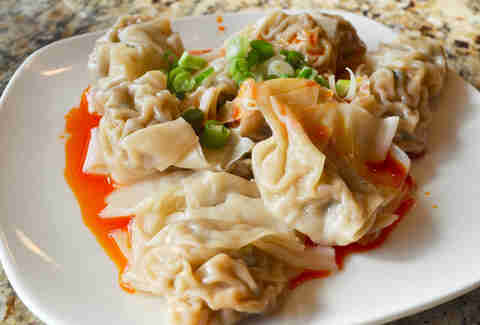 Silky, oozing with crumbled pork, and bathed in just the right amount of hot oil, these babies rank highly in our book of local dumplings, second only to the potstickers at Lao Wang Noodle House -- and are more favorably priced. Even among all the winning sandwiches in this town (see: here and here), Clint Wangsnes’ house-smoked chicken pastrami on grilled rye stands out as essential. 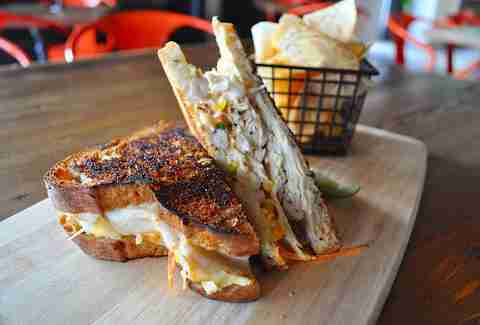 Layered with Swiss cheese and a slaw that combines beans, corn, and spicy aioli, it’s complex enough that you could eat it on the regular without boredom, healthy enough that you could do it without guilt, and cheap enough that you could do it without checking your balance first. We hope. Bad news: the price for this icon-in-a-tortilla has nearly doubled in recent years, which means you can’t even get it smothered in green chile without breaking the $10 limit. 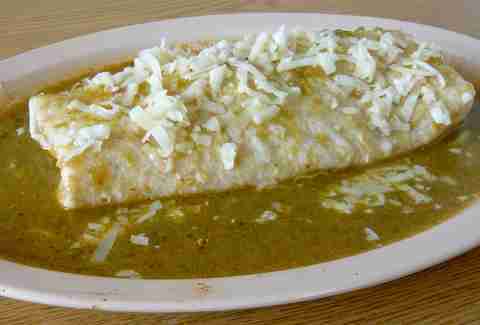 But you also can’t beat a burrito that’s stuffed with a thing that is itself stuffed. So good news: it’s still worth the coinage. 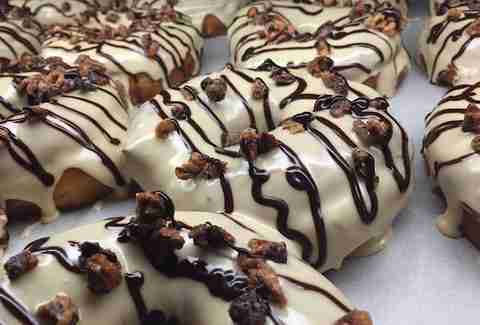 Of course, you won’t know exactly what you’re getting until you’re face-to-face with the freaky choices that earned this shop a spot on Thrillist’s list of Best Donut Shops in America. Could be an Insomniac flavored with Red Bull and Pop Rocks. Could be a Caramelized Miso covered in misoyaki glaze and crispy wonton strips. Could be a chipotle-drizzled Jalapeño Popper stuffed with chile-beer cream cheese. Could be all three, in which case you’ll get the day-long sugar high for cheap. Not only do the crackerjacks at this little shack make some of the best tacos in a town full of great tacos, they do it for so little money that you could basically eat nose to tail (or at least cabeza to tripa) in one sitting, and still have enough change left for a soda. Or better yet, another taco. 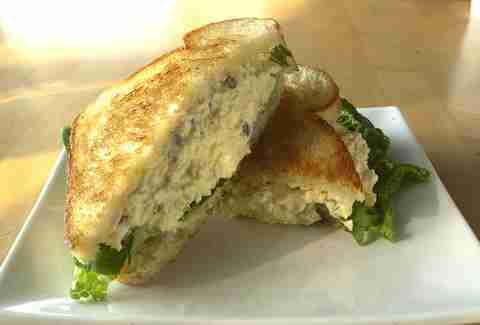 “It is written, ‘He who makes the best egg salad shall rule over Heaven and Earth.’” So says the High Macha of Rashpur in Woody Allen’s What’s Up, Tiger Lily?, which means Justin Brunson would be king if, you know, movie dialogue were real. 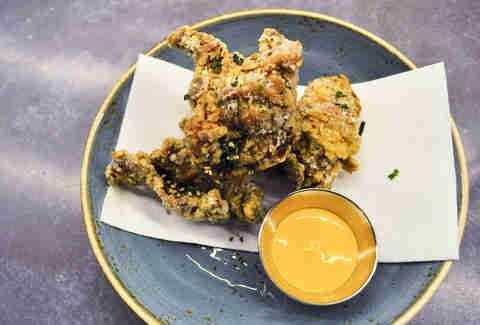 Yes, we’ve mentioned Jeff Osaka’s garlicky, gingery, Japanese-style fried chicken three times in two months. No, we’re not on his payroll. But come to think of it, you should probably pay us for the valuable service of reminding you to try it so often, because it’s one of the best bites we’ve had all year, at any price. The American-Indian answer to a calzone, this monster comes loaded with your choice of meats and beans, cheese, and veggies before it’s smothered in various salsas and sour cream. With one bite you’ll feel like a snake swallowing a hedgehog, but we guarantee you’ve got a happier ending in store. For a true taste of the South, it doesn't get much better than Lucile's. While everyone seems to talk about the pillowy beignets, those in the know skip the sugary treat and concentrate on the real star here: the perfect, flaky biscuits. The Carlin County is a meal filling enough to require an after-brunch nap, but you'll be dreaming about eating more of Lucile's biscuits covered in thick sausage gravy with a side of red beans and grits. Denver's BBQ scene has been on a major upswing in the past year, but if you venture a little bit outside of the city limits, you'll find some of the best 'cue in the state, including this Westminster spot from competitive BBQ champ Jason Ganahl. While the ribs ($3/bone) or jalapeño cheddar sausages ($4/link) are a flavor-packed deal, we can't get get enough of the wings. They're available buffalo-style, but the dry-rub version, with a sprinkle of rub added before serving, adds a sweet note to the smoky meat for a wing like no other. One of the best new restaurants to hit the Denver dining scene last year, Rebel's cuisine is ever-changing and always exciting. From the "pig part of the day" to a whole animal head served on a platter, diners are sure to find an adventurous menu item available on any given day. 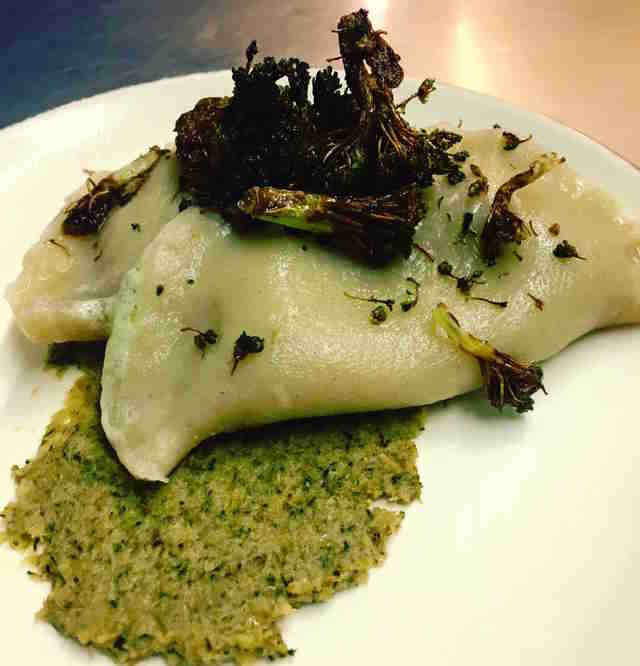 The rotating pierogi are a great way to get a taste of Rebel's playful eats on the cheap. There's no boring potato & cheddar here; instead, expect decidedly non-traditional variations like foie gras and wild mushroom with dilly/dijon sour cream and blueberry compote, or a pierogi play on shrimp corn chowder sprinkled with crushed saltines. Molly Martin is a freelance writer in Denver, Colorado who loves finding cheap eats because then she has money left over for good booze. Follow her food (and drink) adventures on Twitter and Instagram. Ruth Tobias knows all about cheap eats 'cause she's still paying for three degrees she doesn't use. Know what she does use? Twitter: @Denveater.